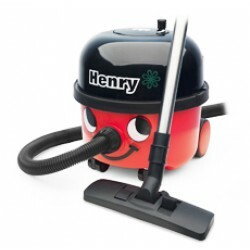 We have industrial sized machines e.g hoovers and cleaning trolleys. If we do not have what your looking for please feel free to contact us and we can help guide you further. Suitable for all your professional needs Three levels of storage Removable wash bag Space for B..
Henry Hoover Hepaflo Dust Bags (pack of 10) Numatic Henry bags are superior quality micro fibre d..
Hetty (short for Henrietta) is not just a pretty face, she has all the Henry features and specific..
A true professional in every sense of the word but never without that famous smile, loved and apprec..
300mm "Wand Dock " Combination Floor Nozzle Replacement head Suitable for Henry Hoovers from Nu..